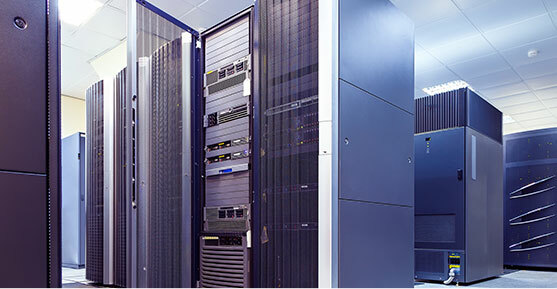 In most cases, businesses typically manage their own virtual Cloud data centers, networks and applications, including maintenance of the software and OS environment. On the other hand, the IaaS provider takes responsibility for the hardware and performs all the maintenance to ensure the servers run correctly. Because an infinite number of custom applications can be developed and deployed and run on IaaS, it becomes impossible for IT Management as a cloud service provider to manage and troubleshoot all of the software and hardware to provide better ROI. Cloud Computing is a journey that you need to plan carefully. That’s where choosing the right cloud provider makes all the difference.Our versatile suite of cloud services can meet the demands of the most demanding developers, IT managers or CIOs. It’s all about taking the complexity out of the cloud. Your requirements will depend on your business’s size and industry along with your strategy. 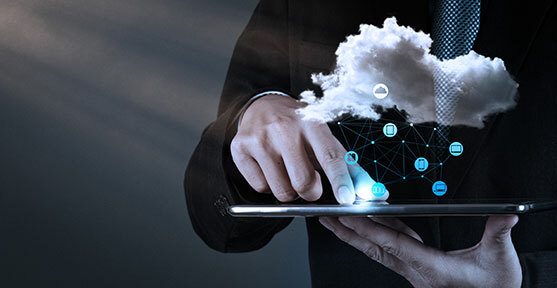 Our cloud services are comprised of a range of infrastructure offerings, including public cloud IaaS, managed private cloud, managed hosting, security and application services. This means we can support you at every step of your journey to the cloud. Finding the right enterprise communications solution has always been complicated. Luckily, with IT Management corporation, the right communications framework doesn’t have to be costly and complex. 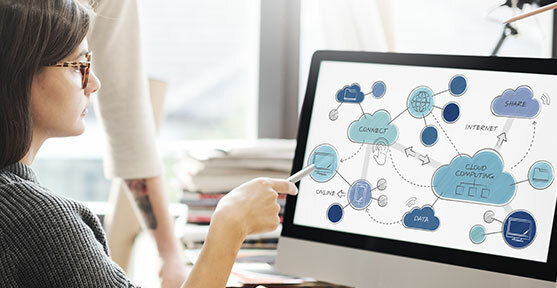 The concept of unified communications (UC) as a service (UCaaS), has revolutionized the communications industry, making it easier than ever to communicate and collaborate.With the introduction of technologies like voice over IP (VoIP), IT professionals began to look beyond the POTS (plain old telephone system) as the final word on communications. The popularity of VoIP is a driving factor in the evolution of enterprise communications. Additionally, with recent enhancement in cloud computing, Cloud VoIP offering has become a major game changer when it comes to Telephony System and Phone Systems selection. IaaS stands for “infrastructure as a service.” It refers to cloud-based infrastructure resources that are delivered to organizations via virtualization technology that help organizations build and manage their servers, network, operating systems, and data storage. Public IaaS: In the public cloud, IT Management Corporation rent out hardware resources in a multi-tenant method to the general public using virtualization technology. This allows multiple users to share server resources. The public cloud is a prime example of the cloud computing model: easy to set up, highly scalable and elastic, where users will only pay for the resources that they use. Private IaaS: The private cloud employs virtualization technology and delivers cloud-computing services to a single organization. The services are provisioned privately and sit behind the firewalls managed by the individual business. Servers and resources are specifically dedicated to the individual business, and cannot be used by others. The private cloud is best suited for businesses that have large CAPEX budgets and rely on their own data center professionals and security experts, who are needed to provide more control over the computing environment(s). Hybrid IaaS: A hybrid cloud is generally considered the conjoining of physical and virtual infrastructure in a public or private cloud. For example, a company may opt to manage some physical servers in a private cloud, while outsourcing other servers to a public cloud. The hybrid cloud allows companies to take advantage of scalability with cloud technologies, all while managing sensitive company data or applications not suitable or licensable in the cloud. The importance of Disaster Recovery (DR) and Business Continuity (BC) planning are becoming more and more of a top agenda point for IT executives, with the increasing dependency on IT systems. Good business continuity plans will keep a business up and running through interruptions of any kind including power failures, IT system crashes and natural disasters and more, thus limiting the short-term negative impact on the company. Since all of the risks cannot be eliminated, organizations are implementing disaster recovery and business continuity plans to prepare for potentially disruptive events. Both processes are equally important because they provide detailed strategies on how the business will continue after severe interruptions and disasters. One can never underestimate the crucial elements of DR and BC and the best place for business owners to start is by assessing their current situation in terms of existing risks in order to identify and determine how to minimize these and ensure that no circumstance could threaten the existence of the organization. The ultimate goal of any disaster recovery plan is to help organizations maintain their business continuity, minimize damage, and prevent loss. The best way to ensure reliability of an organization’s plan is to run through it regularly, with the appropriate personnel practicing what they would do to help recover business function should a disaster actually occur. This sort of advanced planning will help an organization minimize the amount of loss and downtime it will sustain while simultaneously creating its best and fastest chance to recover after a disaster. 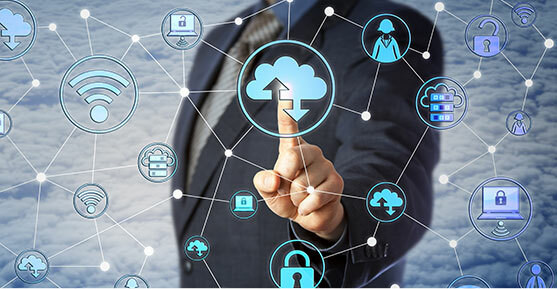 Connect your workforce with a suite of secure Enterprise cloud productivity and communication applications. Office 365, Google G Suite and Adobe Creative Cloud can simplify your infrastructure with one platform for email, office applications, collaboration, and document sharing and many more. A cloud-based productivity suite is a group of productivity applications that are hosted on an external server, which you access through a network connection. There are two products that dominate the government market—Google G Suite and Microsoft Office 365. Our team of technical staff can help you setup and migrate to these platforms with minimum downtime and help you avoid potential feature issues. 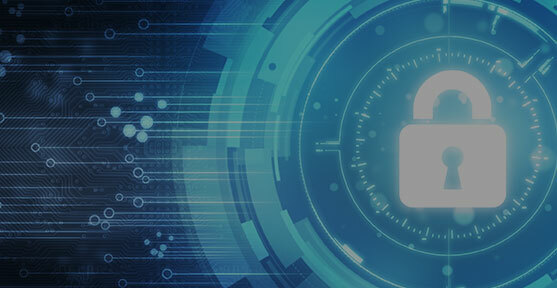 Making sure that your data is safe and secure while accessible to your users is a critical function that can not be taken lightly. Using an IT resource no longer depends on having the capital to own it thanks to cloud computing. As competitive dynamics shift, we can help your organization map its path to the cloud. While the concept of cloud is simple, determining how cloud best fits with your business strategy and organizational structure is incredibly complex. It changes the way business and IT interact at a strategic level; IT’s role must shift dramatically and quickly to let the business move forward without it. In particular, IT executives need to understand that their business peers are looking beyond cloud’s ability to reduce costs and improve speed to market. In research conducted in late 2015 by Forbes, half of the business executives surveyed said part of cloud’s appeal lies in its ability to help transform the business.